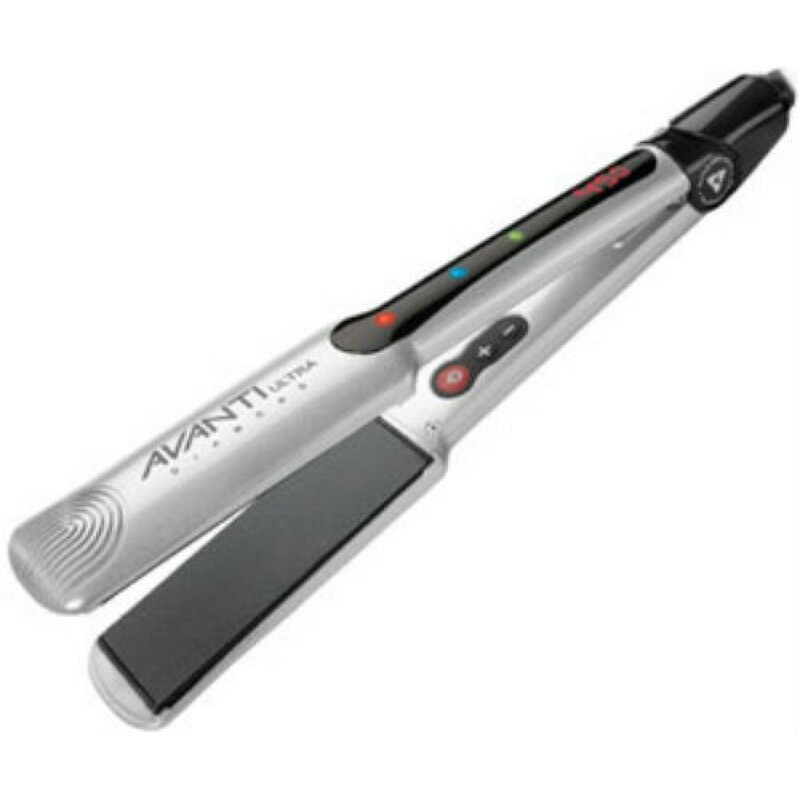 Avanti G2 Ultra Diamond, Nano-Ceramic Tourmaline Flat Iron, AV-CROCAURA4, 1.25"
Model: AV-CROCAURA4C, the next generation of the popular AV-CROCAURA2C. The Avanto G2 is a unique new system that softens hair faster, seals in cuticles, locks in hair color to give a healthy, silky professional finish. G2 is a specially formulated combination of ceramic and tourmaline gemstone complimented with precise heat technology to generate negative ions and far-infrared heat – preserving moisture and leaving hair silky smooth. The result is any hair-styling creations can be easily achieved without the frizzles and static electricity of conventional products. The Diamond G2 by Avantiis the future available today for beautiful, healthy styling. G2's Diamond Technology uses the longer wavelength from Far Infrared technology to generate deep penetrating heat. This penetrates directly into the cortex of hair cuticles, heating from the inside out. It creates an effect that relaxes and softens hair. The hair is heated evenly, giving a gentle fast styling in half the time thereby reducing heat exposure. Water molecules on the surface of the hair break apart into smaller droplets and get absorbed into the hair. Moisture is then locked within the cuticles to give a protective barrier to reduce chemical and bacteria build-up. Used to enhance plate durability, maximizing the longevity of the iron. Elimiates Frizz from Humidity. Straighter Hair for Longer Periods of time. I was skeptical at first trying out a new brand. My hair dresser recommended this. I've had a Paul Brown for the last few years and it recently stopped working. I can honestly say this Avanti works much better then any other iron I have tried. I have very curly hair that tends to get frizzy into a hot mess in the summer. The diamond plates on this iron kept my hair static free! Finally! I just wish I had tried this soon. Best Flat Iron Review by Brooklyn M.
You're reviewing: Avanti G2 Ultra Diamond, Nano-Ceramic Tourmaline Flat Iron, AV-CROCAURA4, 1.25"